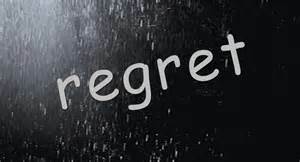 Why some people are regretful about their lives? SHAFAQNA – When it was time for his passing away, Amre Aas who was Moaweyieh’s deputy and in charge of everything was crying, and his son Abdullah asked: O’ father, why are you crying? Do you cry because of difficulty of death? Amre Aas replied: I do not fear death; I am frightened of after death. Abdullah said: You had a good time. Aas said: O’ my child, In my life,I have been dealing with three types of people. First I was disbeliever, and more than anyone else was the enemy of the Prophet (PBUH). If I had died then, without doubt, would have gone to hell. Then I paid allegiance to the Prophet (PBUH) and liked him, and if I had died then, would have gone to paradise. After the Prophet (PBUH) I was engaged with the world affairs and kingdom, and do not know what will happen to me. Amre Aas was involved with Moawiyeh’s kingdom and had amassed money and red gold equal to 70 cow’s skins. When all his fortune was brought to him, told his son: Who is the one with such wealth and power to cry? His son replied: I cannot accept it, because I do not know which part belongs to whom to give it to them. Moaweyieh heard about this event and said: I will accept this wealth with all its problems, and then moved it from Egypt to Damascus . Nasekhul Tawarikh, Geld-e-Imam Hussain (AS), Page 29.
https://en.shafaqna.com/wp-content/uploads/2019/01/regret.jpg 162 300 hamrang https://en.shafaqna.com/wp-content/uploads/2018/10/new-logo-s-en-fine.png hamrang2019-01-29 10:52:382019-01-29 10:52:38Why some people are regretful about their lives?